The combined effort of refreshed Manu Ginobili and the stellar shooting of Danny Green helped the San Antonio Spurs to a 114-104 victory over the Miami Heat in Game five of the NBA Finals. 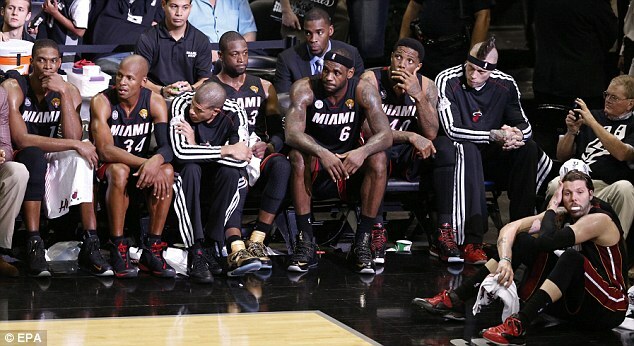 After three games won in double-digit blowouts, this was a tooth-and-nail dogfight where Miami refused to give up. Ginobili’s increased presence as a starter gave Tony Parker more freedom on the offensive end and he top-scored for the game with 26 while Tim Duncan had 17 points and 12 rebounds. 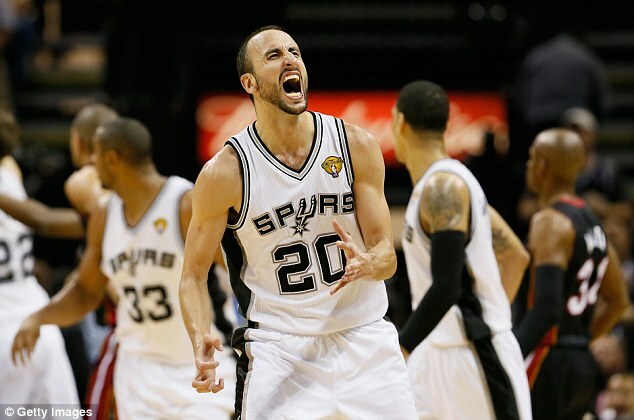 Unconventional and unorthodox, it was the left-handed Ginobili whose introduction lifted his team. Be it jump shots while falling away at strange angles, looping shots on the run with either hand, or driving lay-ups through traffic, he was able to get it done for the Spurs and keep the Heat at bay. LeBron James and Dwyane Wade scored 25 points each for the Heat but now face having to win two straight games to defend their NBA title. James struggled to find the basket in the second half and finished with 8-of-22 shooting. Dwyane Wade continued his aggressive approach from Game four while Chris Bosh, the third member of Miami’s ‘Big Three’, added 16 points. This was a game of punch and counter-punch but San Antonio lead throughout. They built a 13-point lead in the first quarter, saw it slip away before rebuilding. 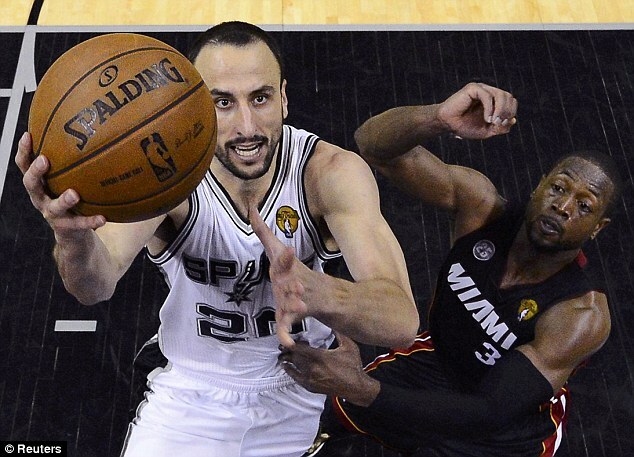 Every time Miami got close, San Antonio responded. 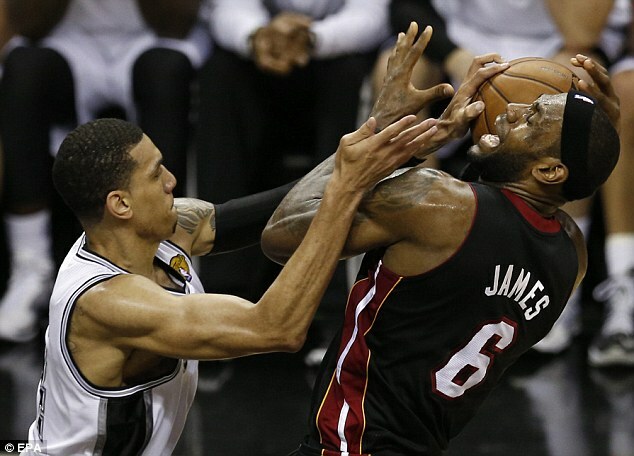 Every time the Spurs drew away, the Heat hit back to bring the game close again. Spurs hold a 3-2 lead in the series and are just one game away from claiming the NBA championship but that final win will have to come on the Heat’s home court as the series shifts back to Miami for the final two games.